Say goodbye to messy corkboards. Pinterest is the free online bulletin board where organizing and sharing your ideas on everything from home decorating to duck decoys is easier and more fun. It’s the popular social site that promises to be an attractive proposition for investors when the company, now held privately, goes public. 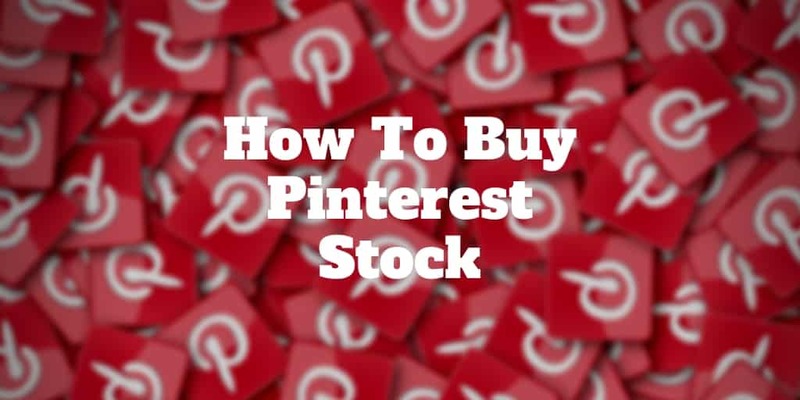 But until its IPO, you might be wondering how to buy Pinterest stock and whether it’s a good investment in the first place. Below we cover the good, bad, and ugly about Pinterest so you can make a more informed decision. What Made Pinterest So Innovative? How Much Does Pinterest Make? Should You Invest In A Pinterest IPO? Which Venture Capitalists Backed Pinterest? Pinterest debuted on the internet in beta form in 2010. Since then, its active user base has grown to more than 250 million people. The big idea is that you can pin whatever you like on your Pinterest page or even set up multiple boards that address all your various interests. While it did not start out as a home to e-commerce, Pinterest has developed as a marketplace in addition to its original purpose as an idea exchange. In 2015, the website introduced “Buyable Pins,” which debuted via the mobile app only. These special pins feature an item price in blue that is clickable. All you have to do to make an online purchase is click the “Buy It” button and submit payment information. You can even sell on Pinterest, too. The “Rich Pins” feature links your Pinterest account to your e-commerce webpage and automatically updates product information as you update it on your site. The “Buyable Pins” feature enables customers to purchase products without leaving Pinterest at no additional cost. With the addition of these marketing tools, Pinterest offers the e-commerce opportunities of eBay, the social interaction of Facebook and the combined creativity of millions of users throughout the world. That makes for an attractive package for both users and potential investors. In addition, the free exchange of ideas that Pinterest encourages serves to inspire users and their followers to explore new projects, take action and then share the results. Whenever you search for ideas, how-to guides or tutorials on an array of topics ranging from retaining walls to quilts, chances are your search engine will direct you to the pages of Pinterest. Once there, you can browse at will with no cost, provided you register as a member. Pro Tip: By the way if you want your own e-commerce store online, check out BigCommerce, which is a one-stop solution for all your hosting, payment, and storefront needs. If it is true that imitation is the highest form of praise, then Pinterest is basking in compliments, having inspired several similar websites. These include Juxtapost, which offers many of the same features; We Heart It, whose users are largely younger women; Dribble, where creatives congregate; and FoodGawker for the culinary crowd. The visual Pinterest format has been so successful that even top stock and options brokers like tastyworks have been inspired to use its layout on some of its pages, like Follow the Experts. While such Pinterest wannabes attract their share of supporters, they do not come close to the popularity of the original. Currently, Pinterest enjoys nearly $1 billion worth of advertising income on an annual basis, and business analysts expect that figure to continue to grow. As of the second quarter of 2018, estimates of Pinterest’s value ranged between $13 and $16 billion. Exact numbers are unavailable because private firms generally do not publish that information. Pinterest continues to attract increasing numbers of business advertisers. It is nearly as popular with men as with women. Pinterest attracts such high-profile influencers as Michelle Obama. As one of the internet’s top social websites, Pinterest represents potential value for investors, perhaps even as much as Facebook currently. Nearly 30 percent of all adult Americans use Pinterest. One out of two users in the 18-34 age group logs on to the website at least once a month. More than half of the users on the site are located outside the U.S.
More than half of Pinterest users have purchased items advertised on the site. Advertisers include such top brands as Whole Foods, Burberry and Scholastic. As a privately held firm, it has raised in excess of $1.5 billion over the course of 14 funding rounds since its inception. Pinterest has also been adding to its earning power with the acquisition of a number of companies over the past few years. For example, Pinterest purchased the search engine Jelly HQ in 2017. The previous year, it acquired the bookmarking app Instapaper, the online curated fashion company Tote and the marketing firm URX. All in all, Pinterest counts 15 acquisitions within its expanding family circle. The company has also developed a visual search tool that lets you highlight an object within an image on a Pinterest board to find other similar pins on the website. This allows you to potentially learn more about the object, such as a light fixture, in terms of brand and availability so that you can buy one like it. This and other innovations in search technology add value to the Pinterest user experience and differentiate it from other social media leaders like Facebook and Twitter. 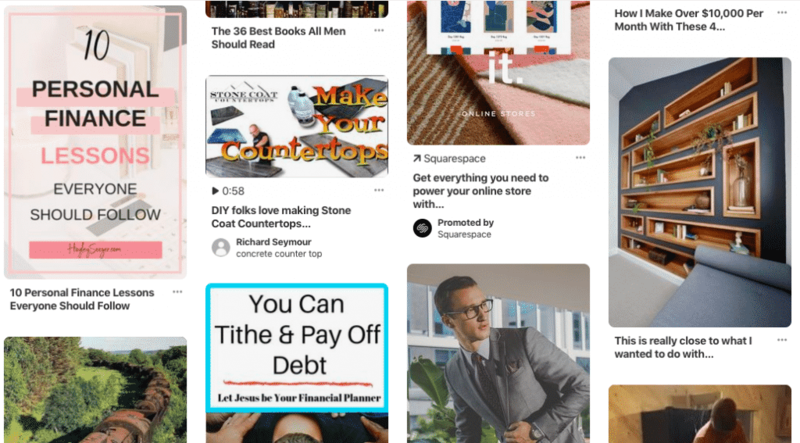 With all of these positive growth factors and a clean bill of financial health, investing in Pinterest once it goes public is a tempting proposition. However, you should also take certain factors into account when you are considering such a prospect. First of all, there is that $13 → $16 billion valuation to consider. Anxious though you may be to be among the first to invest in Pinterest, getting in early will not guarantee a good ROI. The shares could be overvalued at the outset, and the company has not yet established a track record on the public market that could inform your investment decision. Because accurate financial information on private companies is not typically public knowledge, you may be in for either a pleasant or shocking surprise if you purchase on impulse. Instead, carefully read the company’s Form S-1 and do your research to gain a better overview of the firm’s value before comparing that to the early market performance of similar companies such as Twitter and Facebook. Another potential pitfall of buying shares of Pinterest hot off the presses is the distinct possibility that the company might not meet its fundraising goals right out of the gate. One reason for this is that IPOs do not always generate the expected level of investor interest. On opening day, a successful IPO sees a greater demand for shares than the available supply, which drives up the price. Conversely, should the demand fall short of available shares, the share price adjusts down accordingly. This is why you may want to wait a few days after the IPO date to see how it all shakes out before you plunge in. The initial offering price of a stock is calculated according to the company’s value, the amount of funding the company wishes to raise and projected market interest. When this initial offering is higher than the adjusted value of the stock, it spells an immediate loss, on paper, to the company. Such a loss will likely affect the future performance of its shares. Stocks that sell for less than their initial offering price project an image of financial weakness, raising a red flag to potential traders. On the other hand, sometimes a firm with an opening price that exceeds its initial offering price may have hiccups on down the line. For example, Facebook, a firm in the same general social media category as Pinterest, opened strong in May 2012 at $38 per share, gaining more than $16 billion in funding from its IPO. However, by September of the same year, its stock price had plummeted to $17.55, a significant decrease in value. Many market analysts attributed this plunge to initial overpricing. Nevertheless, Facebook stock has proven to be an excellent investment in the long run. Pinterest does have several advantages going for it that may help it not only retain its initial value but also enjoy a healthy rate of future growth. The virtual bulletin board has a loyal and engaged user base as its 250 million monthly pinners attest. Also, Pinterest edges out its closest competitors, Facebook and Twitter, when it comes to average order value and the average time a visitor spends on the site. Ad revenues continue to grow at an accelerated pace, and the company fuels that fire by working to provide advertisers with innovative tools and valuable metrics. These include Pinterest business pages, “Rich Pins” that highlight products and “Instant Ideas” that link advertisers with user smartphone cameras. Additionally, Pinterest has shown a high rate of annual growth. It doubled its revenue in 2018 over the previous year. This bodes well for continued financial growth after its IPO, which market watchers are predicting will take place in mid-2019. What factors will determine the date of Pinterest’s IPO? What are the company’s plans for allocating IPO revenue? Does Pinterest have strong competition for market share? What are its prospects for growth? Does current management have experience with running publicly traded firms? What are the company’s goals in terms of profitability and innovation? No, you cannot buy shares in Pinterest yet, but if industry buzz is any indication, that time may already be on the horizon. As a company with a strong following and committed advertisers, Pinterest may very well present an opportunity for early investors to make a substantial profit as this intriguing internet presence continues to thrive. Meanwhile, such social media companies as Facebook and Twitter are a few investment alternatives worth considering.